Join us again tomorrow for the action from Day 1 Flight 2, which begins at 12.30pm here at The Star poker room. The last three hands have been called ahead of the chips being bagged up for the night. We arrived at the table to see 3-way action pre-flop. Three players posted 8500 to see a flop of 6d Jd 5d. Ray Zhang then checked, Peter Matusik checked to Trevor Saunders on the button, who moved all-in for 20,400. Zhang insta-called while Matusik tanked for a couple of minutes before folding. When the cards were exposed, Zhang tabled J-J for top set, whilst Saunders showed 6-6 for middle set. The board ran out 10s Qs to eliminate Saunders from the tournament and lift Zhang’s stack to a very healthy 143,000 in chips. Peter Matusik once again has flopped a J-high straight to eliminate one opponent and take a major dent out of another. On a 9 8 7 flop and a 4 turn, Matusik moved all-in, forcing a fold from Martin Rowe who had already committed about 30,000 to the pot. Rory Young was all-in at this stage and insta-mucked when Matusik rolled over J-10. Young is busted while Matusik moves up over 210,000 in chips for a clear lead. A player in mid-position raises to 2200, Stevan Chew (pictured) calls, as does Denis Sekuloski, The player on the button then takes his opportunity to ship his stack in, totalling 13,900. The blinds both fold, as does the initial raiser. Chew considers his remaining opponents and after a minute or so announces, he too, is all-in. This folds Dennis Sekuloski and the cards are turned over; Chew Kd Jd, Button A Q. The board runs out 10h Jh 3d 9c 6d to send the pot to Chew, who only a couple of hours ago was down to 1125 in chips. He now sits behind a stack of 75,000 which, if it holds for the remainder of the final level, will be an above average stack heading into Day 2. Blinds are up to 500/1000 with an ante of 100 as play enters Level 8, the last level of the night. The action has tightened somewhat as players look to nurse their stacks in the hope they survive long enough to make it to Day 2 on Sunday. Former ANZPT champion Peter Matusik has knocked out a player to take his stack up to 135,000 in chips. With the board showing 7d 2h 8d 9h, Matusik had re-raised the button bet of 14,200 to 51,000 in total. The button player, looking somewhat anguished, made the call after a couple of minutes, putting himself all-in. Matusik rolled over J-10 for a J-high straight much to the annoyance of the button player, who showed 10-6 for the lesser straight. With only a J to split, the button player was sent on his way when a 4c completed the board. Stevan Chew in mid-position raised to 1600. Denis Sekuloski called, Sam Capra called out of the SB while Ray Zhang 3-bet it to 5600 from the BB. Chew then folded, Sekuloski called and Capra folded. The flop came down 4h 2d Ac. Zhang fired a continuation bet for enough to get Sekuloski to fold. So, not a particularly exciting hand but a chance to update some stacks – most notably Stevan Chew, who was down to 1100 just before the last break but has worked his stack back up to 26,000. Capra also has a healthy chip stack with 83,000. Arriving at the table there was a board of 6d Qd Kc 7h and a pot of 23,000. At this point Tino Lechich (pictured) had moved all-in for 20,200 and the decision was on Jason Pritchard. He tanked for a good 5 minutes until time was called by another player on the table. With about 30 seconds remaining, he announced call and slapped the chips on the table. Lechich announced “I’m not always bluffing” and rolled over Qs Qh for the set. Prichard moaned and rolled over K-10, knowing he was already drawing dead. The river was an inconsequential 10c, doubling up Lechich to 67,000 and denting Prichard’s stack, now down to 46,000. Level 7 is upon the players with blinds 400/800 and an ante of 100. Two levels remain for the day with 77 players still battling it out. In the last hand before the break there was a raise in mid-position to 1200. Jim Pizanias made the call in the cut-off. Action folded to Denis Sekuloski in the BB who 3-bet to 4500. The original raiser folded and Pizanias made the call. The flop came Jh 10h 9c. Sekuloski made it 3500 to go, Pizanias tanked for about 3 minutes before re-raising to 20,000. Sekuloski insta-shoves and Pizanias snap calls. Pizanias rolls over 10-10 for middle set only to see Sekuloski table K-Q for the flopped straight! Both the turn and river were blanks for Pizanias, who is sent to the rail to extend his break. Sekuloski moves up the chip counts to 128,000. Level 6 has ended and players are now on a 10-minute break. 82 players remain of the 117 starters. Registration will close at the end of this break. We arrived at the table to witness a board of Ah 3d 2d Ad 8d and an all-in bet of 21,175 sitting in front of Daniel Neilson. The player contemplating the call was Peco ‘The Magician’ Stajonovski (pictured). After 3-4 minutes of thinking and jovial conversation between the two, Peco threw in one yellow chip signifying the call. Neilson showed Kh Ks to Peco’s 10c 9d, with Peco’s one card flush doing the damage, knocking Neilson out of the tournament and lifting his stack to 75,000. On a board of 9c 6c Jd Kd, we found Stevan Chew all-in for his remaining 16,000 in chips. Ronald Bean (pictured) with slightly less made the call. Chew showed Ad Qd for multiple draws, whilst Bean showed Kh Qh. The river came 2c to deliver the hand to Bean with a pair of kings, leaving Chew on life-support with 1100. After doubling up a few hands previously with J-J, Michael Doodson got the last of his chips in after a series of raises. The flop saw 9d 8s Ad, with Corey Kempson calling. Doodson showed A-8 but was well behind Kempson’s 9-9. The turn and river were 3h 7c to see Doodson take his leave from the tournament. Kempson maintains his chip lead with 142,000. John Caridad raises in mid-position to 1500 and is called by Adam Hankim. Play is folded around to Errolyn Strang (pictured) in the cut-off who 3-bets to 3500. Both players make the call. The flop comes 5d 4h 10d. Caridad and Hankim check, Strang fires 10,000 and both players fold. Strang builds her stack up to 60,000. Apparently it’s the third time she’s had aces today, making them pay each time. As a former champ, lady-luck is riding with her again so far, mixed with a touch of skill of course! Trevor Saunders (with A-A) min-raises in early position, Bob Chen makes the call with K-J. Flop comes A K J, Saunders (pictured) checks, Chen makes it 4000, Saunders smooth calls. The turn card is an 8. This time Saunders leads for 8000, Chen moves all-in for 30,000 and Saunders races him into the pot with a call! The river is a blank for Chen who is sent packing. Saunders climbs up over 80,000 in chips. Play has reached level 6 where blinds are 300/600 with an ante of 75. There are 89 players remaining of the 116 total entries for the day. Registration will remain open through this level and the following break. Sam Capra UTG+2 raises to 1200, Yifan Zhou makes the call. Stevan Chew in the cut-off 3-bets to 4000, and both players call. The flop comes 6h 3h Qh. Capra and Zhou both check, Chew makes it 7100, Capra folds while Zhou tank-calls. The turn comes 3d. Zhou checks, Chew thinks for moment before pushing all-in for 18,025. Zhou sighs and releases his hand. Chew remains alive, now with almost 50,000. After taking a sizable chunk of his opponents’ stack with a rivered straight, Corey Kempson delivered the death blow the following hand. After an early raise to 1000 by Nick Williams, Rodojub Batoz called, Kempson then raised to 3900, Williams called and Batoz then jammed for about 40k. Kempson tank-called with Q-Q while Williams folded. Batoz showed A-10. The board blanked out for Batoz to send him to the rail and put Kempson well over the 100k mark with 140,000 in chips with the current lead. Level 5 is now upon the players with blinds 200/400 with an ante of 50. The first table of the day has broken as play continues towards a scheduled 8 levels. Sam Capra limps UTG for 300, Stevan Chew raises to 900 in the cut-off, it’s folded around to Capra who makes the call. The flop is 5h 3c 8c. Capra checks, Chew makes it 1300 to go, Capra calls. The turn is 7h. Both players check. The river is 7c. Capra leads for 2800, Chew tank-folds. Capra let’s us know (!) he had 6c 4c for both a straight and flush! It sure is nice to be Sam Capra sometimes! He’s now up to 58k in chips. The Star Poker room has moved once again and is now located in the Lucky Lounge area. The move was made in mid-May and has 29 tables, its own bar and an outdoor smoking area. 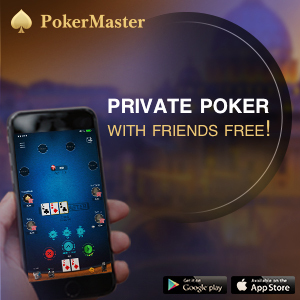 Star Poker Manager Stephen Ibrahim said that players have embraced the new location – he’s heard little complaining so it must mean it’s been a positive move. The room has good space, the walls are filled with poker memorabilia from past Star Poker triumphs, and the cash tables are busy as usual. We look forward to seeing how the Main Event progresses to an eventual final table, which will be filmed and televised on the nearby screens. With the blinds at 150/300/25, Stephen Lockwood in seat 9 raises the action to 800. Stting directly to his left, Kamyar Ekrami 3-bets to 2200, with the action folding around to Lockwood who makes the call. The flop comes 5h 6c Qd, Lockwood checks and Ekrami makes it 1250 to go, Lockwood making the call. The turn is 9s. Lockwood again checks, Ekrami makes it 2800, this time Lockwood takes his time and then drops in the raise to 7500. Ekrami eyes his opponent’s stack and makes the call after some careful consideration. The River is 10c. Lockwood leads this time for 8500, Ekrami leans back in his seat, staring at both his own and his opponent’s stack, and after a couple of minutes he reaches for a stack of yellow 5k chips and re-raises to 30000. Lockwood grimaces and looks at his stack, knowing this will send him all in. After a minute, he lets his cards go. After having his stack cut down to 12k over a series of hands, Rob Spano got it all in pre-flop with Ah-Kh and was called by Q-Q. Despite flopping two hearts, the turn and river blanked out to send him to the rail as the first casualty of the Main Event. Play has recommenced with Level 3. Blinds are 100/200 with an ante of 25 now introduced. 111 players have entered so far today and they all remain. Level 2 has ended and players are on a 10-minute break. Who says you don’t get something for nothing? 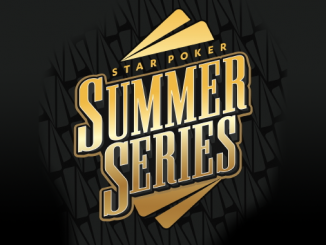 As is tradition, Star Poker provides free hoodies to all entrants in the main event. We like them with PMA on the opposite breast…we’ll have to keep working on that one! Corey Kempson (pictured) has also doubled his starting stack and now sits with 64k in chips. Not bad work given we’ve still got twenty minutes left in the second level. Corey specifically requested we take his photo with the front of his hoodie clearly displayed! Oh to be young! Greg Cook (pictured) is quietly going about his business, now sitting on 62k, having doubled his starting stack. Jason Wicks, ex-Tournament Administrator for poker when The Star was still Star City, is assisting with some of the expert reporting over the next few days. Jase was part of the team that started the Sydney Champs back in 2009, and he remembers Jarred Graham was the inaugural champion back then. It was originally $1650 to enter – set as an affordable main event for the local championships. Some of the events included the Toothpick Tony Deepstack, the Eric Assadourian PLO event and the Grant Levy bounty event! There was also a low limit morning series, which was played for points that eventually lead to the winner getting a seat into the Main Event. There’s been a lot of water under the bridge since then! There were a total of 236 entrants in this event last year over the two Day 1 flights. So far today there have been 103 entrants and we’ve recently started level 2. Registration will remain open today until the end of the third break, or the start of the 7th level. So if you have a spare $3000, come on down and enter. The winner is likely to walk away with over $170,000! Sam Capra (pictured) calls an opponent’s raise from the big blind. The flop comes 6c Qh 5d. The guys bet 200 to see a turn of 4d and then make it 425 to see the river, which comes Jd. They both check with Capra turning over Q-5 for his two pair and his opponent mucks. Nick Williams has emerged as the early chip leader with a stack of 45k (starting stack was 30k). He recently showed red aces to take down a 12k pot from oppenent Alejandro Bayato. Who’s in the field today? 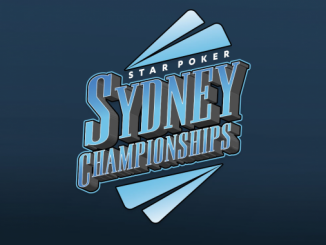 Record fields have been attracted to The Star during this year’s Sydney Champs, which is great for poker. Hopefully we’ll reach big numbers again this year in the Main Event. Those that have graced us with their presence so far today include Tom Rafferty, Sam Capra, Michael Doodson, Alex Antonios, Daniel Laidlaw, Martin Rowe, Peco ‘The Magician’ Stajonovski, Andrew Scarf, John Caridad and Michel Bouskila. Daniel Neilson has also shaken off his celebratory sweats after his $5k Challenge win last night to give it a crack in the Main Event. 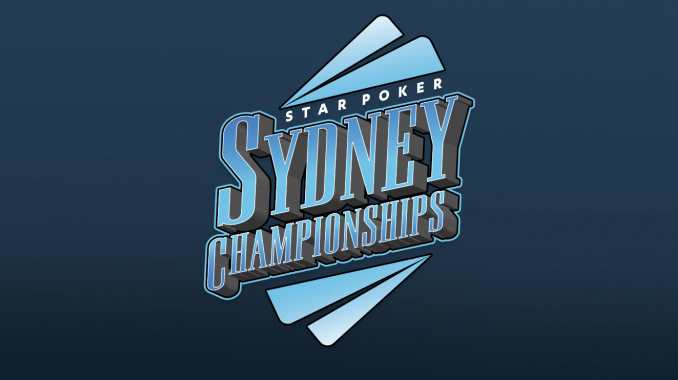 Welcome to our coverage of the 2015 Sydney Championships Main Event. Play has started in the $3000 Main Event where a guaranteed prizepool of $500,000 has been set. Based on history, this should be reached comfortably but it’s a nice gesture from the management at Star Poker to get behind poker here at The Star in Sydney. 8 one hour levels will be played today, taking us through to about 9.30pm tonight. The first level starts with blinds at 50/100 with a starting stack of 30k in chips. So sit back and relax while we bring you updates throughout the day.